On a budget? 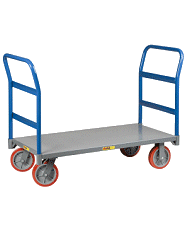 Here are a few hand trucks that your budget will like! Harper Commercial Continuous Handle - 300 lb.